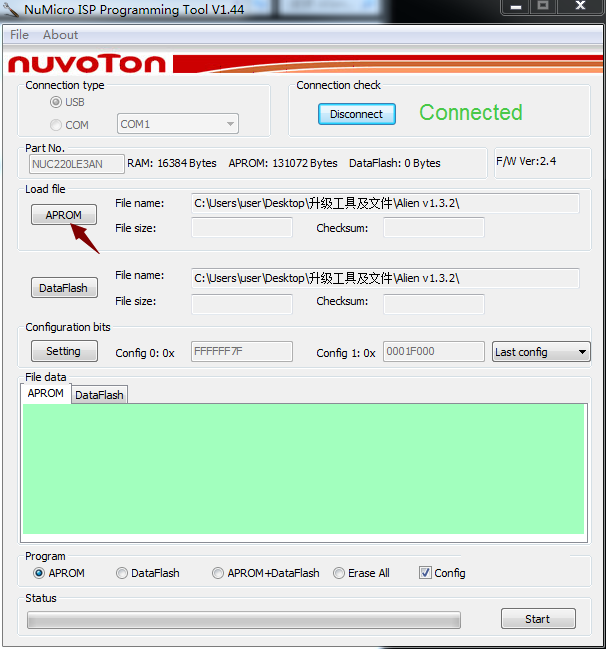 NuMicro ISP Programming Tool for Alien V1.3.2 (Not for AL85) - SMOK® Innovation keeps changing the vaping experience! 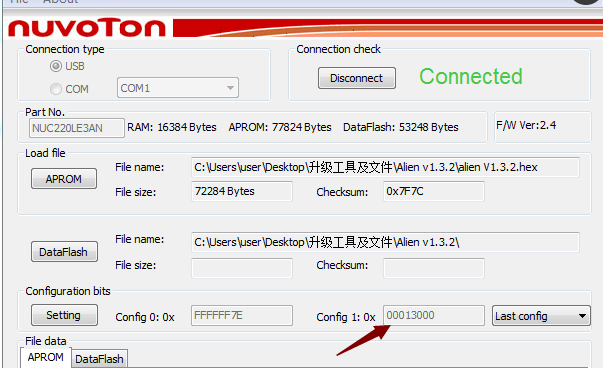 3.This firmware is only for V1.X.X version Alien mod. 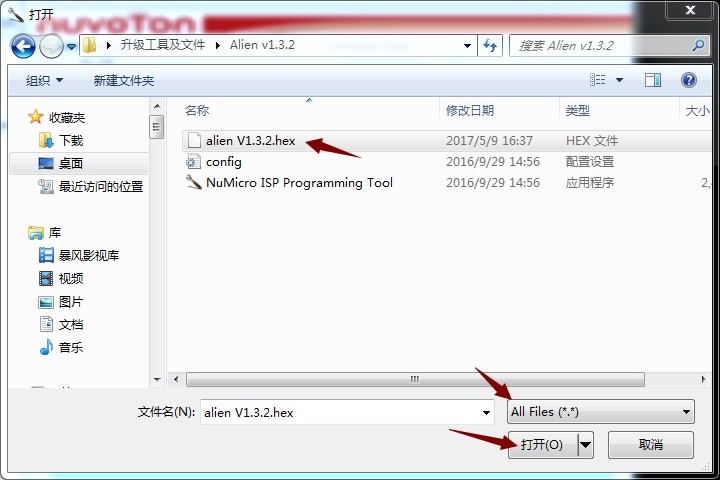 There are A and B two versions of Alien220 mod with the same function as for its improvement of MCU. 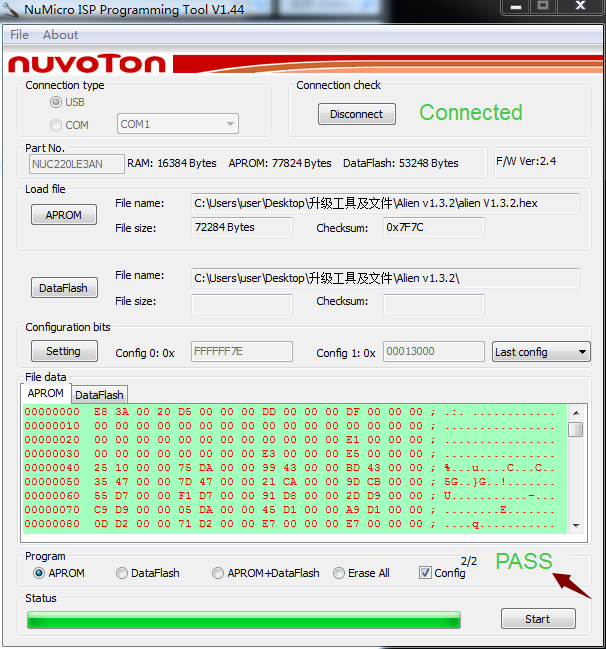 Edition A will display V1.x.x (newest is V1.3.2) when powered on, while edition B will display VB1.x.x (newest is VB1.0.2). 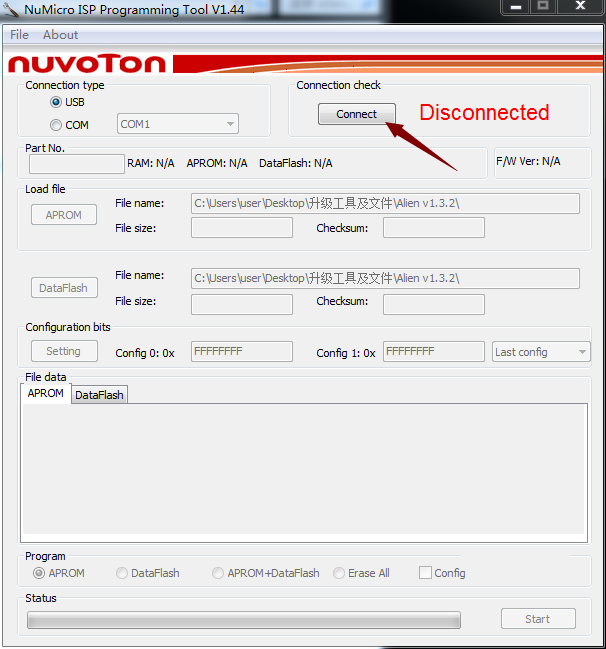 Please make sure the device version and download the corresponding version before firmware upgrading, for A and B version is totally different and cannot be employed universally. 7. Mark “APROM” and "Config" icons, then click "Start"